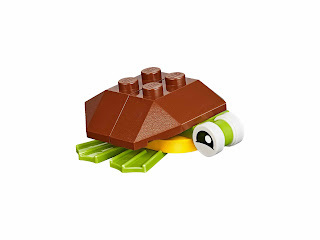 can be built into 3 building alternatives. 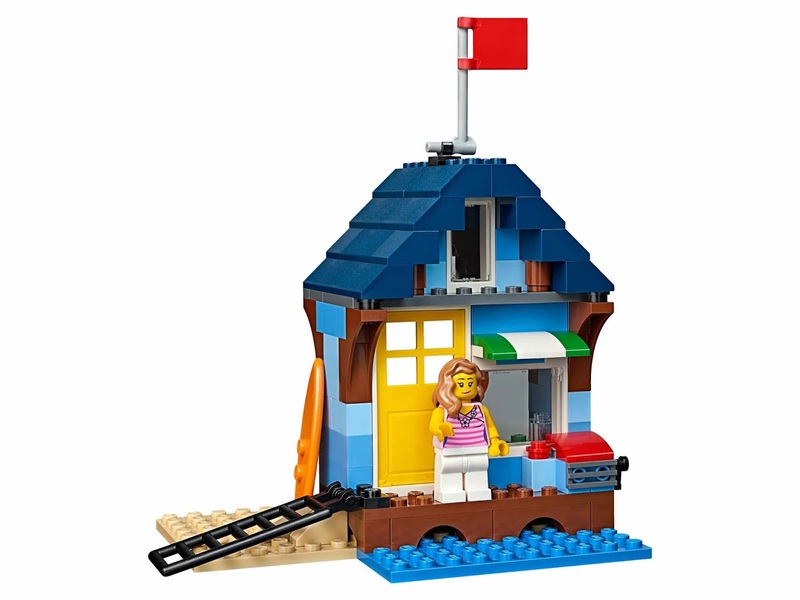 can be built into a beach house, a beachside shop and a boatside harbor. 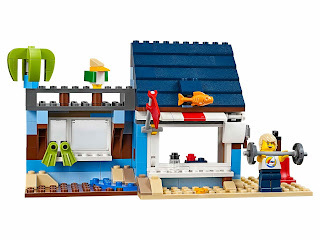 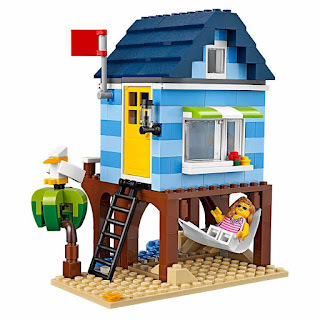 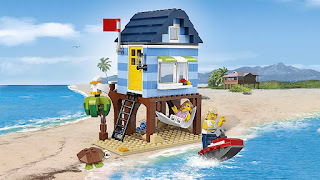 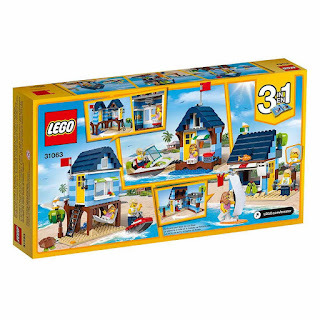 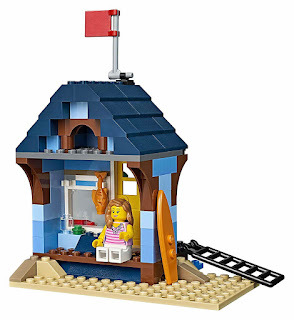 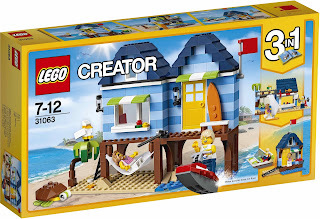 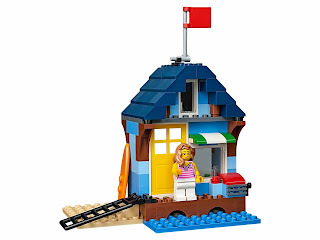 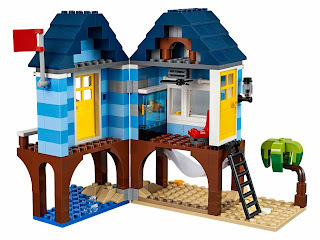 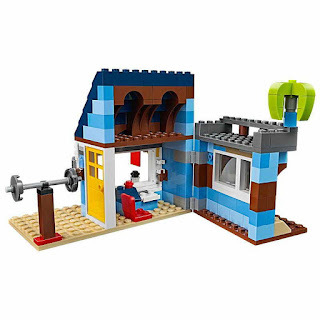 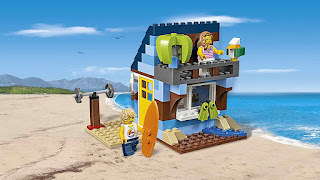 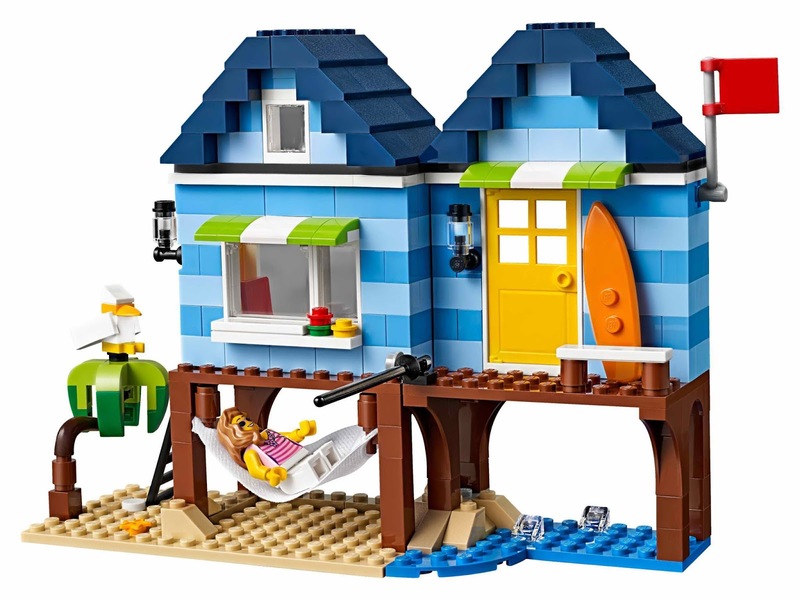 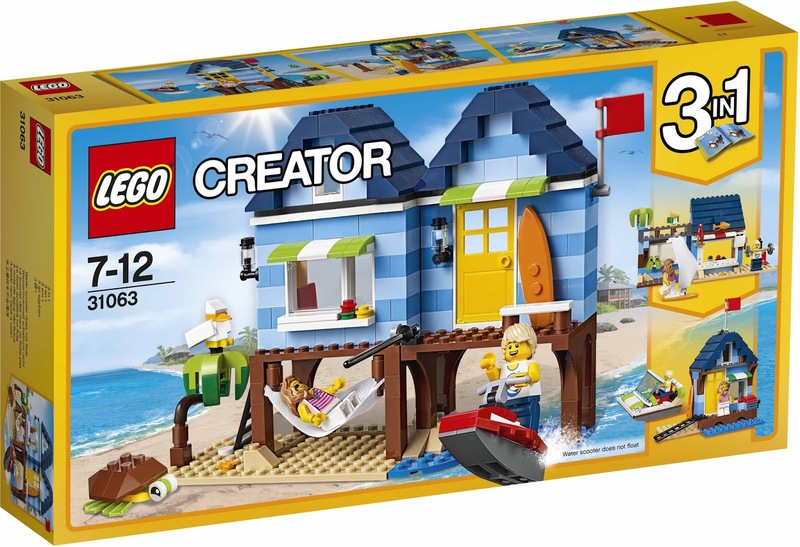 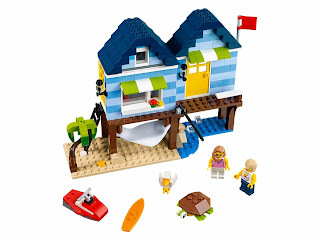 the beach house has an elevated floor with balcony, a flag, a fish tank, a chair, a ceiling fan, a ladder, a hammock, beach and ocean area, a starfish, a palm tree and a water scooter. 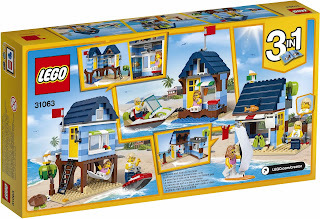 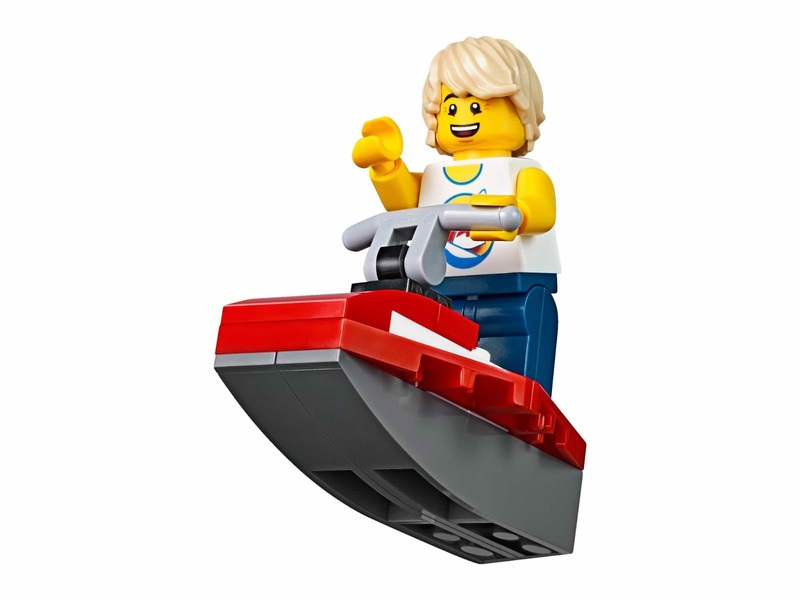 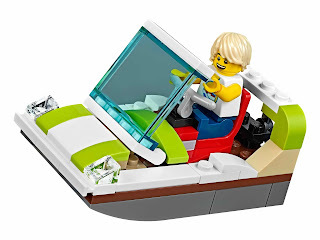 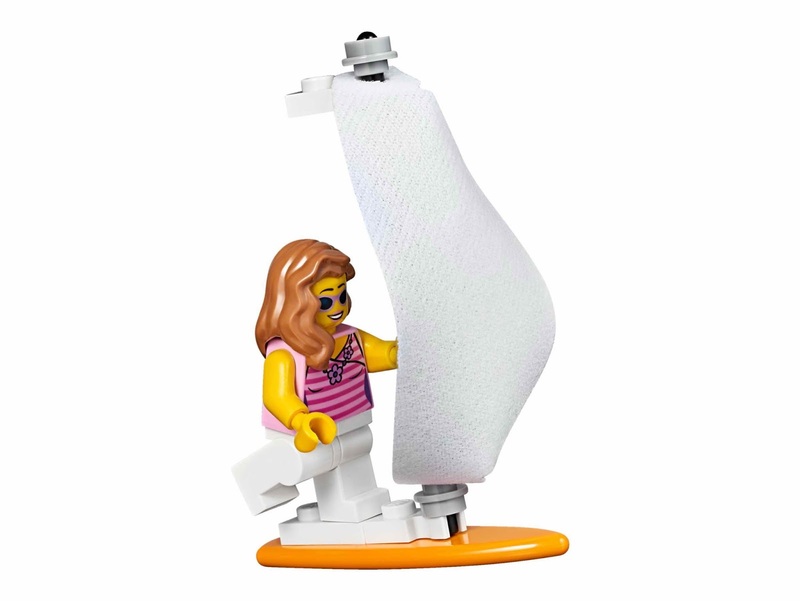 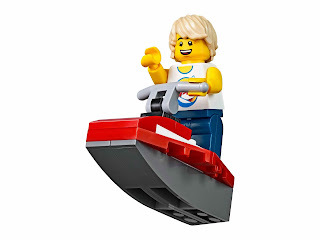 minifigs included a male minifig and a female minifig.